Attorney Julia M. Brown is speaking about Title 19 (Medicaid) and Estate Planning at the Alzheimer’s Support Group at The Village at East Farms on September 2, 2009 at 6:30 PM. Randi Bellemare is the contact 203 757-7660. 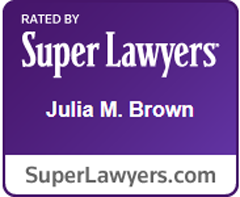 Attorney Brown is a Certfied Elder Law Attorney, CELA and estate and disability planning attorney.